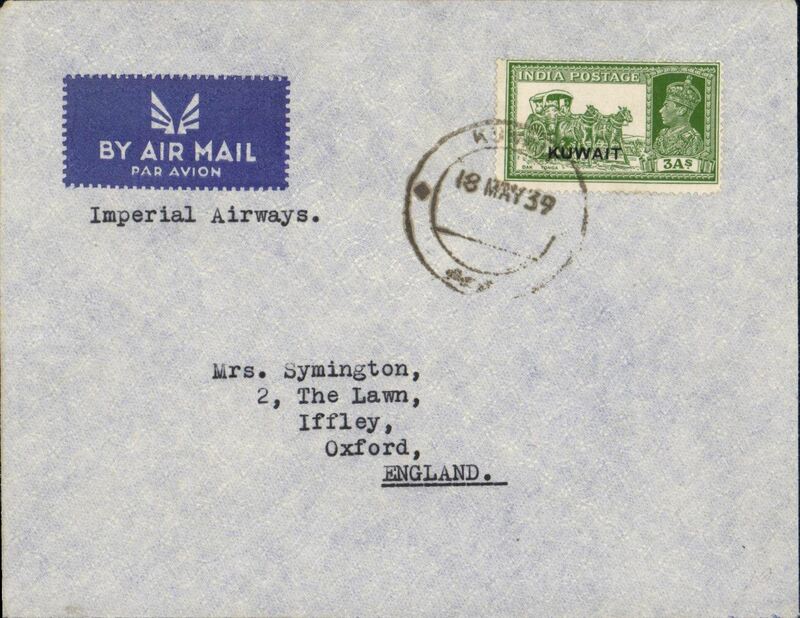 Kuwait to England, bs Iffley, Oxford 1/6, pale grey airmail etiquette cover franked India KGVI 3 A's overprinted 'Kuwait', typed 'Imperial Airways'. Scarce item in superb condition. 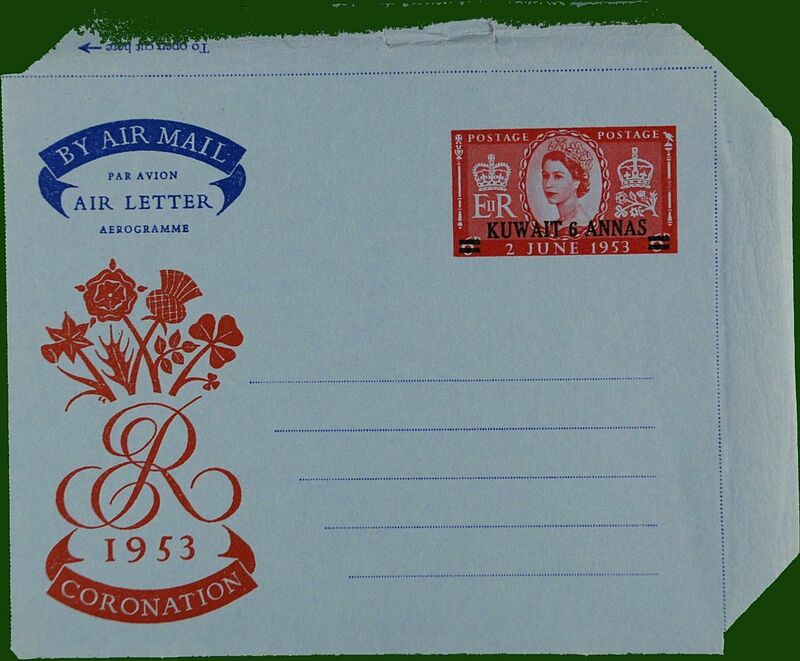 KGVI 6d air letter, franked 6d opt 'KUWAIT/6 annas', unused. Air letter unused, pale blue/maroon, imprint GB QEII 6d opt. 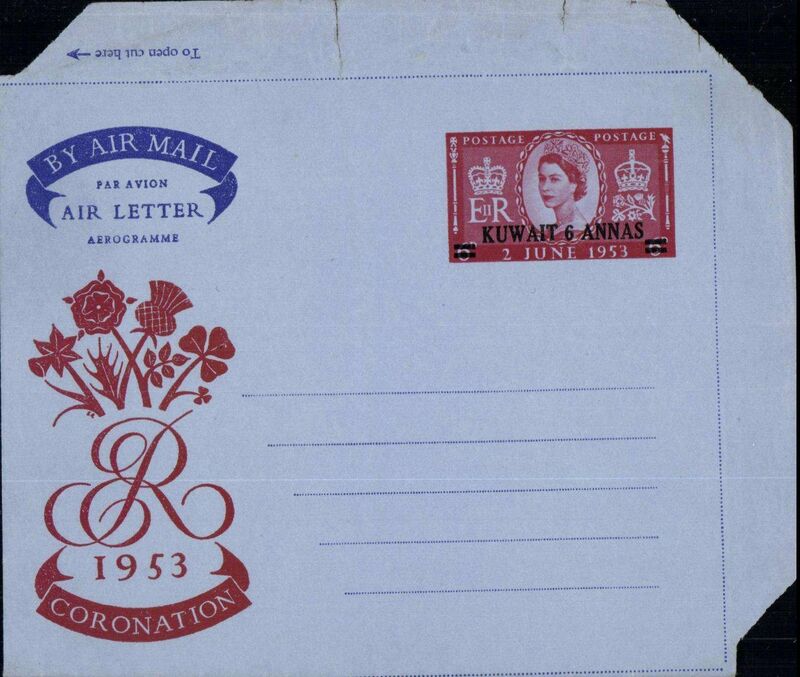 Kuwait 6 annas, imprint 1953 Coronation logo. 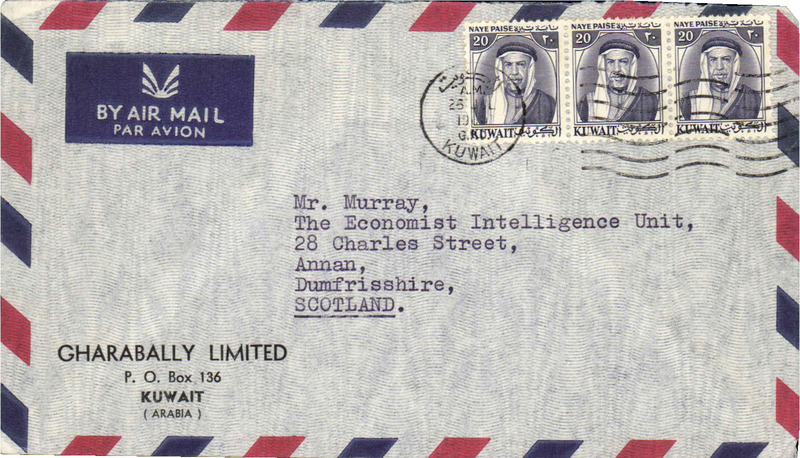 Commercial Gharabally Ltd imprint etiquette air cover flown to Scotland, no arrival ds, franked 3x20c Sheikh Abdullad, canc Kuwait cds. 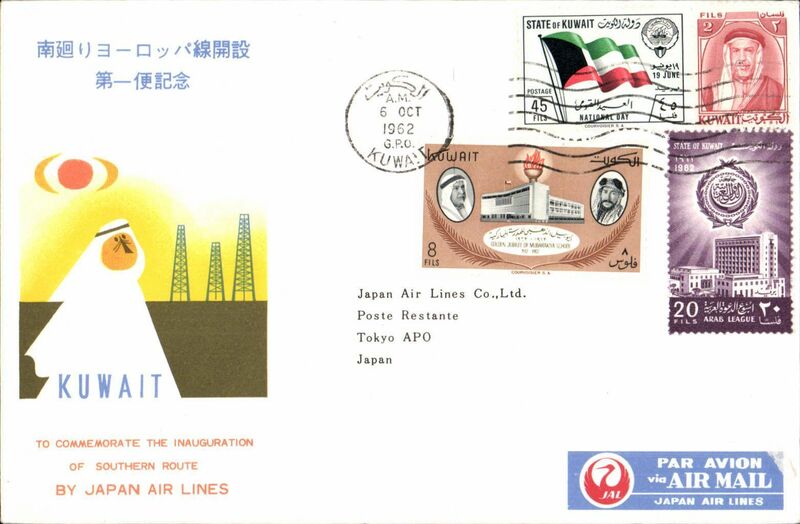 JAL F/F Southern Route Kuwait-Tokyo, b/s, souvenir cover.